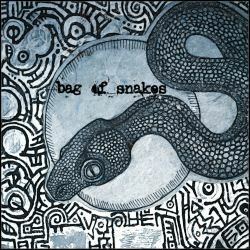 Bag of Snakes is an angular garage-rock power trio from Ottawa Ontario. With members culled from various local bands like The Rebel Wheel, The Power Goats and The PepTides, Bag of Snakes explores the territory between grunge and progressive rock. They have an overall thrashy sonic, but aren't afraid to detour down twisty musical side-roads.